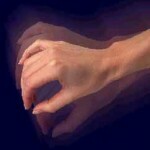 Primary writing tremor (PWT) is a type of task-specific tremor that occurs during and interferes with handwriting. It’s not “writers cramp” and probably differs from other forms of tremor, although the pathophysiology isn’t clear. Researchers at INSERM, in Paris, France tested transcutaneous electrical nerve stimulation (TENS) as a treatment. 9 patients with PWT received 2 weeks of 5, 25, or 50Hz TENS applied to wrist flexor muscles. The Fahn-Tolosa-Marin scale was used to assess tremor. This scale measures tremor amplitude under a variety of conditions and effect on daily activities. Excitability of neurons was tested using transcranial magnetic stimulation. All participants received both treatments — crossover study design. TENS at 5 and 25Hz had no effect. TENS at 50Hz worsened the clinical condition and cortical excitability. Most people with PWT are men around 50 years old. Propranolol (Inderal) and primidone (Mysoline) are commonly used to treat PWT. Alcohol has also been used, although tremor may temporarily worsen after the effect of alcohol wears off. 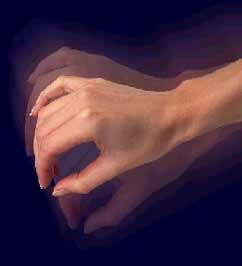 Surgical procedures may be used in cases of refractory tremor. This entry was posted on Saturday, July 17th, 2010 at 7:24 PM	and is filed under A. ALTERNATIVE MEDICAL SYSTEMS, TENS/FNS/VNS. You can follow any responses to this entry through the RSS 2.0 feed. You can leave a response, or trackback from your own site.